Uruguay is known primarily as a Summer beach destination for Argentinians and Brazilians. While it may not be as big as its neighboring countries, it has a spirit and culture all its own. 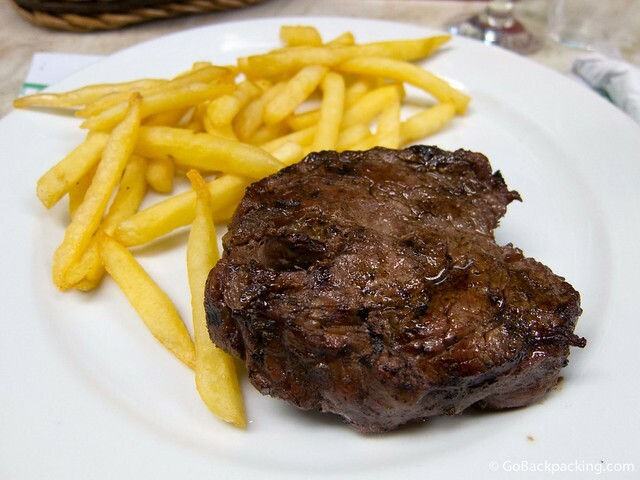 Uruguayans are most passionate about their meat, mate, and football, so if you experience nothing else, aim to incorporate these three themes into your visit. Planning a trip to Uruguay? Book your hostels here! Mercado del Puerto is an old, covered market filled with a dozen or so restaurants grilling steaks and various cuts of meat all day long. The food is excellent, but the dark, smoky atmosphere is what makes this place so unique. If you don't stay for lunch, at least try one of the free samples of medio y medio, a Uruguayan sparkling wine, being given out. The market is located at Piedras 237 in the old city, Ciudad Vieja. Due to its close proximity to the sketchy port area, it's best to get directions from your hostel or hotel, and not wander off into the side streets. Anthony Bourdain fans should know he filmed a segment for No Reservations in 2008 here. Want to see the best of Uruguay, Brazil, Argentina? Book this G adventures trip! Uruguayans love to get outside and walk when the weather is nice. 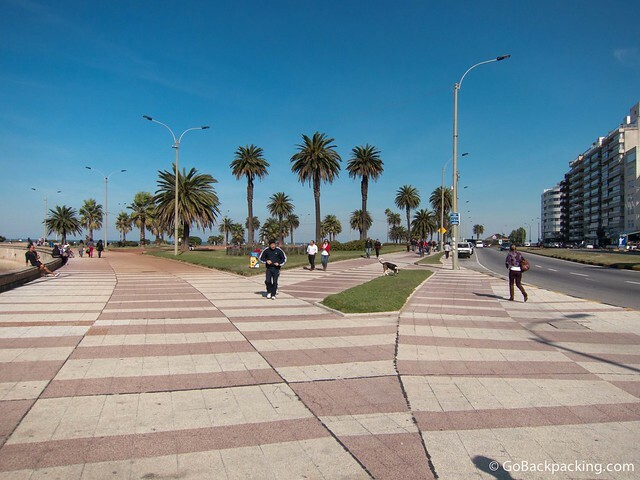 La Rambla, the 22-kilometer boardwalk winding along Montevideo's coast, is the perfect place to get some exercise, and do a little people watching. Be sure to walk past Pocitos, one of the most popular beaches in the city, and easily accessible from Ciudad Vieja. Life in Uruguay comes to a standstill for football games, especially the national ones. 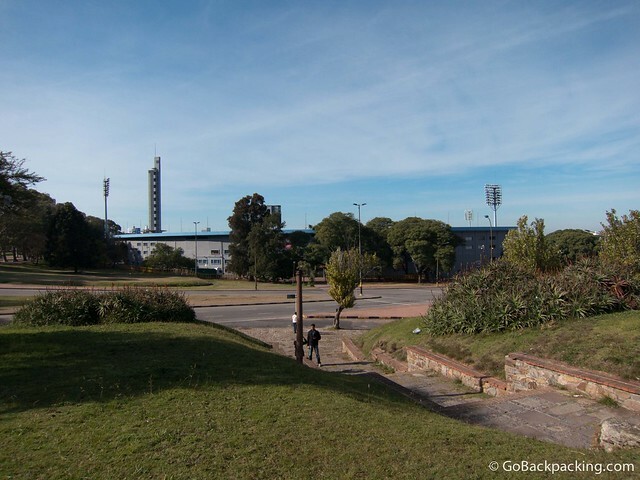 Back in 1930, Uruguay won the first World Cup at Estadio Centenario. The historic structure features a football museum, and can seat 65,000 people. Every February, Montevideo and Uruguay play host to colorful Carnival celebrations. Parades and partying are on a smaller scale than Brazil, though that's not necessarily a bad thing. Just be sure to watch your pockets as thieves prefer to operate amongst the large crowds of tourists. 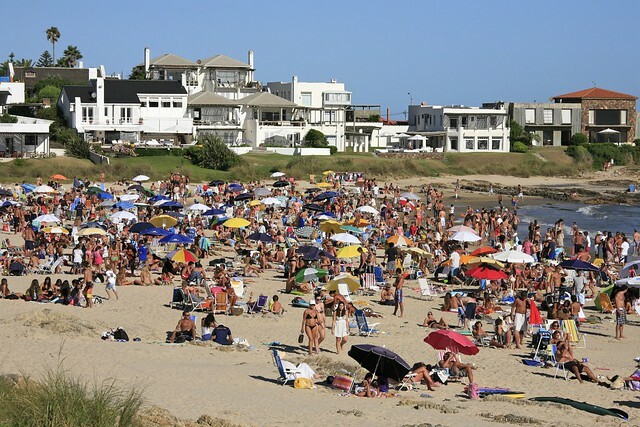 From late December to February, Punta del Este hosts wealthy vacationers from Argentina and Brazil. They come by boat and plane to soak up the sun on Bikini Beach, and party until sunrise at the nearby discotecas in La Barra. Cost of accommodation skyrocket during this time, with luxury apartments going for thousands of dollars per week. Luckily, there are a few hostels in Punta Del Este, where you can still grab a dorm bed for a relatively cheap $20 – $30 per night. 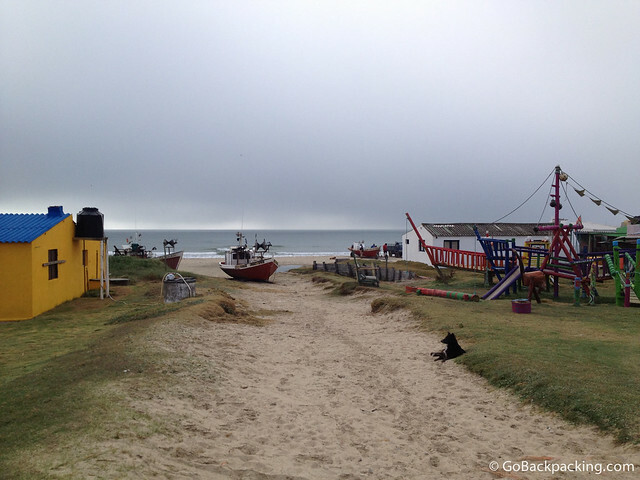 Cabo Polonio is a small fishing village a few hours East of Punta del Este by bus. Aside from the lighthouse, which is still in operation, there's no outside electricity available. Residents depend on renewable sources of energy, including solar panels and small, modern windmills. Fresh water is obtained by wells. January is the busiest month, when the cost of a bed triples to at least $30 per night, and the hamlet is filled with an international mix of hippies from South America and around the world. The rest of the year, you can still stop by Cabo Polonio to enjoy the laid-back atmosphere. A few hostels stay open year-round, however you'll have to cook for yourself. 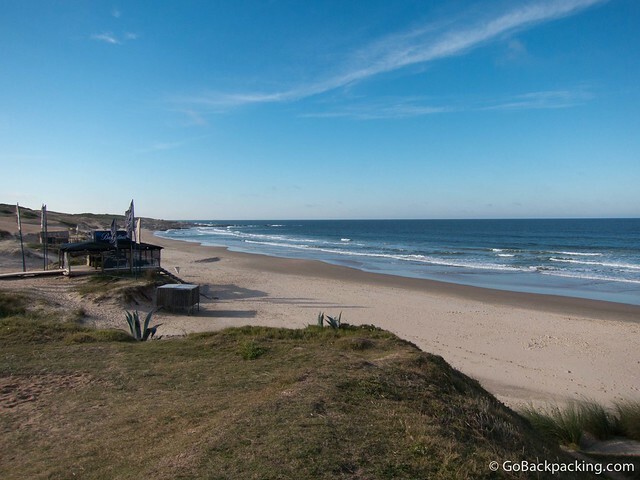 Further east of Cabo Polonio, and a stone's throw from the Brazilian border, Punta del Diablo offers visitors beautiful beaches, waves for surfing, and wind for kiteboarding. During the Summer it's another vacation hotspot, though still closer to the vibe of a fishing village than Miami-esque Punta del Este. Still, I recommend you check out these popular hostels to book your bed in advance. Colonia is the oldest city in Uruguay, and the historic district is listed as a UNESCO World Heritage Site. Popular to visit as a day trip from Buenos Aires, people's opinions of Colonia del Sacramento vary from “must-see” to “overrated”. Regardless of who you believe, most agree it requires little more than a half day to explore. Mate is to Uruguay what coffee is to the USA. Everywhere you go, you'll see Uruguayans clutching a thermos of hot water, and their mate cups, with the metal straw. It's popular in Argentina too, but the Argentines tend to drink it more at home, whereas Uruguayans take it everywhere. Also unlike Argentina, where sugar is added, the Uruguayans prefer to drink theirs straight, which makes it a lot stronger. It's an acquired taste. Most of the mate consumed in Uruguay comes from either Argentina or Southern Brazil. With 3 cows for every Uruguayan, there's a lot of beef roaming around Uruguay. And the gauchos are there to tend to them. Visitors to Uruguay looking to go off the beaten track (that is do something other than go to the beach), can book a tour and go horseback riding with Gauchos.